A Mandragora with a single lovely blossom. 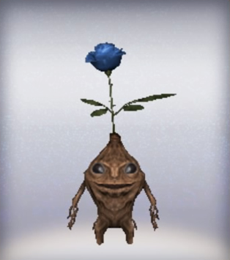 The Blue Mandrarose is considered as one of the most valuable and rare flowering plants in Phindym. To maintain the vivid hue, some artificial colouring is required and there is much research on the matter.